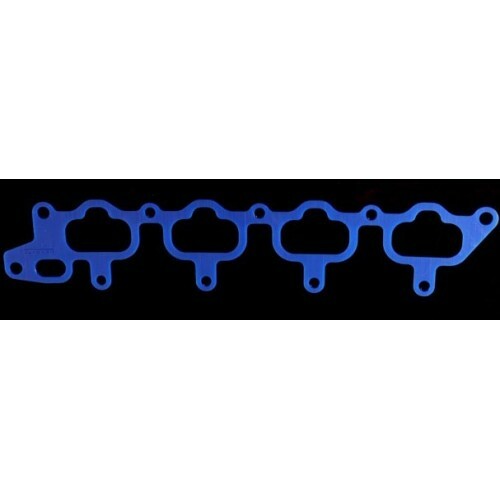 The Mitsubishi Lancer EVO Heatshield is a replacement intake manifold gasket made from special high temperature plastic, designed to insulate the intake manifold from the cylinder head. Hondata have developed a special high temperature insulating gasket which replaces the stock intake gasket. This and bypassing several heat sources significantly reduces the transfer of heat from the head to the intake and incoming air giving you up to 5% more power. Fact: For every 3.3 °C (5° F) rise in intake temperature, air density drops 1%. The hotter the air, the less fuel the computer injects to compensate for reduced oxygen. HondaLogger datalogging software has enabled us to measure intake air temperature under varied driving conditions. Around town, testing has shown an average drop of around 10 degrees C which is good for around 3 percent power increase. Remember though that 3 percent power increase is difficult to feel. You'd feel a greater change in performance getting rid of that passenger. In certain conditions a 30° C drop has been measured. The Honda manifold is heated in up to 5 places. From the head, the interior heating takeoff hose, the cold idle valve, the idle control valve and the throttle body heater. The Heatshield gasket kit contains an insulating gasket, and installation instructions. A race version only version with the thermostat bypass blocked is also available. The Hondata Heatshield manual is available online. I was utterly shocked to see an average 10-25 degree drop in intake air temps, as well as a 5 degree differential between head/manifold exterior temp go to 50 degrees!!! Before the intake heatshield gasket and coolant bypass, the intake manifold temp at idle was around 130F and approx. 185F during 7psi boost @ approx. 6500 rpm. The outside temp was around 75F. After the mods, idle temp is now 106F, cruise temp at 4000 rpm in third gear is 119F, and 7psi boost @ approx. 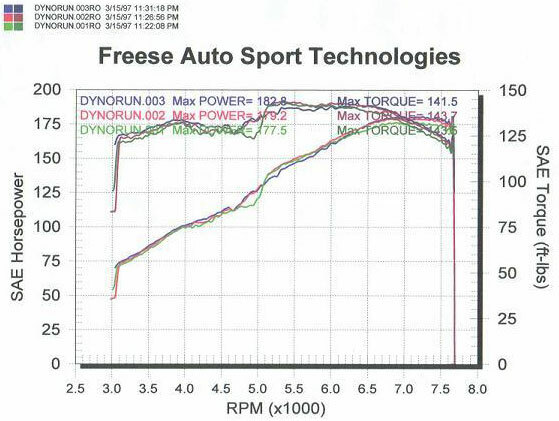 6600rpm is now 131F! However, the outside temp is also cooler at 45-50F. I'm waiting for a warmer day to conduct the test again. One thing that's very noticeable is the surface temp of the intake manifold comparing to the cylinder head. It's MUCH cooler to the touch. My first run I ripped a 177.5hp, 143.5tq. I then adjusted the correction on the V-AFC and did a couple more runs in which I hit 179.2hp, 143.7tq and 182.8hp, 141.5tq. So it looks like the spacer gained about 5hp and 3tq throughout the power band.